Healthcare is a vast and intricate umbrella term for several fields of work with purposes to help people attain and maintain proper health. 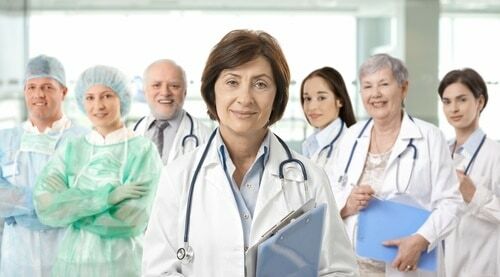 Jobs for the healthcare industry require individuals with a passion for health, science, technology, and helping people. Healthcare leaders require several personality characteristics performed successfully to become highly regarded in their jobs. The workplace needs active healthcare administrative personnel to cultivate minds into protecting the health of patients. A leader inspires people to get things done. Authority figures of the past assist team members in working with numerous tasks to achieve common goals. The health industry has many outstanding leaders, and perhaps you’re thinking about joining the ranks. To do this, you need extensive expertise of the pieces of equipment involved in taking care of patients and a desire to maintain a significant level of responsibility to complete tasks. Motivates team members to complete tasks. Guides employees to achieve objectives. Builds and boosts workplace morale. Has a clear view of the end goal without losing track of the required undertakings. Exudes self-confidence without being condescending. Honest and reliable in times of pressure. Assertive to meet workplace metrics and targets. It’s critical to actively focus on improving these traits to become a good or great healthcare leader. Cultivate all of these attributes, as having one or two won’t be enough to lead teams to accomplish work objectives. AI may also help in the marketing of health services. For instance, a clinic’s focus on high-risk identification may aid in a marketing campaign. Several people don’t want to wait for hours in medical lobbies for their turn with doctors. The use and presentation of AI may help bring in more patients to the medical establishment as the system may streamline tasks that aid in lessening wait times for patients. The ability to streamline tasks as a healthcare leader is vital in numerous health institutions. Chatbots in healthcare offer potential ways of improvement in medication management, the organization of patient pathways, and to provide first aid. Automated chat response systems offer a personal experience to respondents without the need for a personal reply. While there’s a loss of empathy, the use of chatbots may help leaders in the sector to focus more on other important tasks. Advantages of chatbots range from delivering better customer service to giving a potential diagnosis of mild health ailments. Mobile technology promotes several incentives for team members in the health establishment and its patients. First, customized mobile apps can help bring better communication between staff members in disseminating information like patient data and staff reports. Mobile apps connected with wearable devices also enhance patient information readout. Doctors can identify problems in lifestyles by using the data provided by the information gathered in the app. Upload a patient’s medical history. Acquire a patient’s test results. Create, view, modify, and share important documents. Alert team members to act quickly during specific scenarios. As a healthcare leader, you need to own the right set of characteristics and skills to become effective in the job position. Evolve together with the industry to adjust your practices accordingly. Assess, challenge, and reflect upon the traits of a health leader during certain periods to identify and correct issues that may prevent you from accomplishing tasks and providing proper care to patients.